Thanks to everyone who attended or helped out at the Flushing Street Market this evening. We raised an amazing £600 for club funds! Well done to Team Logic and their Project Manager, Claire Jenkin, who won the FMPGC Apprentice competition. Team Venture, led by Ella Leuzzi, took about £80 less than their rivals and Ella chose to take Kim and Celia back into the Seven Stars Boardroom with her. After much deliberation, Lord Sugar (Plum Fairy) & his lovely assistant Pamela, decided that the worst performance had come from Celia and she was duly ‘fired’. 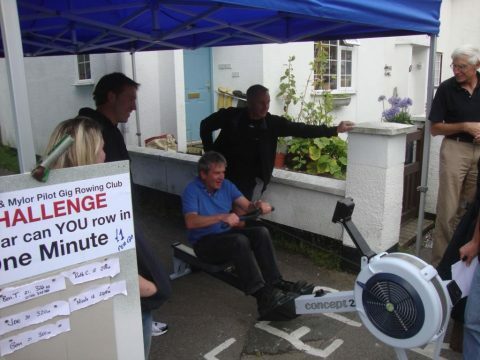 Big thanks to Justin and Kim Dodge for their organisation and considerable contributions to the sales stock plus to those who also ran the ever-popular Ergo competition.